The Jeff Crespi Birthday Bash rocks The Wonder Bar in Asbury Park on Monday 4/8 with Latewaves and the Ultimate Weekend Warrior Tour! The show is 21+. Admission is FREE! 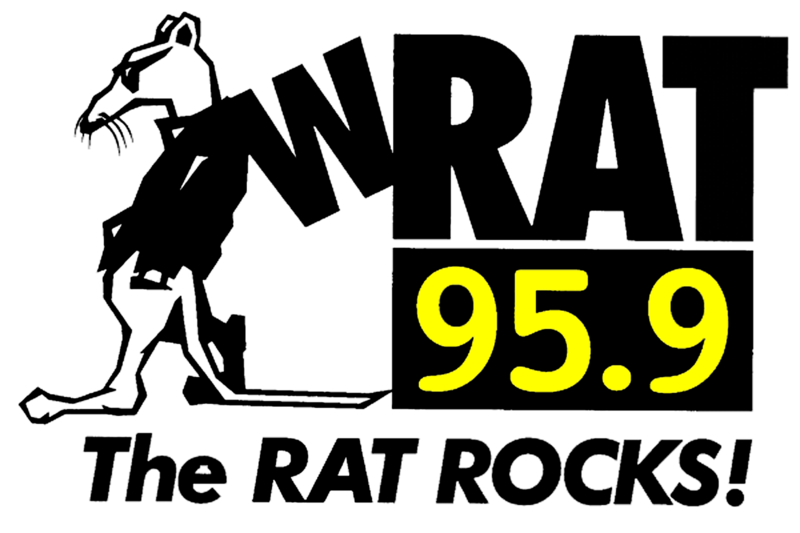 Jeff Crepsi will join us in studio Tuesday, Wednesday, and Thursday at 11:30 pm as we rock rad tunes from Latewaves on 95.9 The Rat! The Ones You Forgot will rock the Jersey Rock Showcase on Thursday 2/28 at Reef & Barrel in Manasquan with Ruby Bones, Lunatic Fringe, and This Year's Comeback! Admission is free and there will be $3 Yuengling specials courtesy of Shore Point Distributing. Guitar player Matt Thompson will call in to Jersey Rock this Thursday night at 11:30! Lunatic Fringe rocks The Jersey Rock Showcase at Reef & Barrel in Manasquan on Thursday 2/28 with The Ones You Forgot, Ruby Bones, and This Year's Comeback! Admission is free and there will be $3 Yuengling specials courtesy of Shore Point Distributing. Lunatic Fringe Guitar player Cooper Boyd will call in to Jersey Rock Wednesday night at 11:30! Morningside Lane will rock The Jersey Rock Showcase at Jamian's in Red Bank on Thursday 2/21 with The Dead Ramblers, Reality Suite, and The Walkarounds. Admission is Free and there will be $3 Yuengling specials courtesy of Shore Point Distributing. Jon Khan calls in to Jersey Rock Tuesday night at 11:30 to tell us what we can expect! Matt O'Ree Band rocks The Stone Pony in Asbury Park with David Bryan of Bon Jovi on Friday 11/16! Tickets are on sale now. Matt O'Ree will join us in-studio each night to talk about the upcoming show and his latest release "Brotherhood." Tune To Jersey Rock on 95.9 The Rat Tuesday, Wednesday, and Thursday at 11:30 pm to hear some awesome tracks from M.O.B! Colossal Street Jam's latest EP "Just Take Hold" is out now! Catch them at Jamian's in Red Bank on Friday 9/28 for a free show! Tune to Jersey Rock on 95.9 The Rat Tuesday, Wednesday, and Thursday at 11:30 pm to hear cuts from the band's latest release. Singer Gene Potts will call in to the show each night! The Medford Oktoberfest & Music Festival rocks Freedom Park in Medford on Saturday 9/15 with food, beer, and 3 stages of live, local, original music. It's an all ages event. Admission and parking are free. Tune to Jersey Rock Tuesday, Wednesday, and Thursday at 11:30 pm to hear 3 of the bands that will perform at the festival: Shoobies, Hideaway, and Kid Felix! Red Bank Experimental Indie Rockers The Mercury Brothers will rock a dual record release show with Rachel Ana Dobken at the all new Asbury Lanes this Saturday 9/8! The band's performance of "Little Bridges" at The Danny Clinch Transparent Gallery in Asbury Park was captured by the youtube channel THRIVING ERA back in February. Check out the video now on the Jersey Rock page! Rachel Ana Dobken will rock the all new Asbury Lanes with The Mercury Brothers on Saturday 9/8! The singer/songwriter/instrumentalist is currently holding an indiegogo campaign to help offset the production costs of her upcoming album "When It Happens To You." Tune to Jersey Rock on 95.9 The Rat Tuesday, Wednesday, and Thursday at 11:30 pm to hear Rachel's Rock-infused Jazz sound. Rachel Ana Dobken will call in to the show each night!